IP finance: So Which Is It for a Start-Up: A Patent or a Proto-Type? So Which Is It for a Start-Up: A Patent or a Proto-Type? The debate goes on: how important are patents for start-ups? At a conference in which I particpated last month in Singapore, the sense that I got from speakers ranging from Silicon Valley to Europe and Asia was that patents are less rather than more important for start-ups. Against that back-drop, I was intrigued by an article tht recently appeared in Bloomberg Business Week--"Startups' New Creed: Patent First, Prototype", by Ashlee Vance here. The thrust of the article is that, where once a start-up would give priority to first coming up with a prototype, today "they must first protect [there prototypes] with bulletproof intellectual property portfolios that can take years to build." According to the article, "this is the fallout" of the recent high-stakes patent disputes between such giants as Apple, Samsung and Google. 1. The firm charges a flat rate per patent application--$15,000, rather than charging on an hourly basis, "making him more like a partner to his client." According to the article, by contrast, the typical law firm charges for a patent are in the range of $40,000. 2. His client base derives in material part from the contacts that he makes in teaching two classes at Stanford, attending angel investing clubs and devising ways "to identify promising companies." Indeed, he will sometimes take an equity interest in the companies that he represents. 3. His office makes liberal recruiting use of students from the Institute of Design at Stanford because, as Schox observes, this provides a non-engineering perspective that is conducive to a more creative, "multidisplinary approach." 4. Schox's approach to dealing with his start-up clients is to impress upon them that patents are a weapon. As such, the emphasis is on trying to conceptualize how competitors might design around a patent, leading to a consideration of coming up with "unusual extensions of the technology." (In the video promo, Schox states that a start-up to does not obtain a patent for enforcement purposes, but rather to make the company more attractive for investors.) In any event, in his view, "the going rate for a hot patent is about $1 million." So which is it--are patents of secondary importance to start-ups, or are they now the primary currency for seeking to leverage one's hot new idea? Is the start-up paradigm more like Steve Jobs and Steve Wozniak, tinkering in their Palo Alto garage to develop a prototype for the nascent Apple computer, or like Craig Ciesla and his company, Tactus, as featured in the article, where his techology regarding a feature of flat screens yielded 20 patent applications before any outside funding sought? 1. Schox's model might well be idiosyncratic to the innovation ecology of Silicon Valley. In particular, there is an unparalled aggregation of creative human capital and technological prowess, against the backdrop of the billable hourly rate system for law firms that allows for different pricing models for patent preparation and prosecution. Or maybe not? 2. Schox's fields of focus lend themselves more to seeking to protect features via patentable inventions rather a workable prototype. Still, we wonder about the role that patents play in the valuation of a typical start-up. Anecdotally, I listen weekly to a podcast, emanating from Stanford, focusing on innovation. I have been struck, time after time, how seldom patents are brought up in the presentations and discussion (especially as compared with quality of staff). 3. Many commentators are heard to lament that there is a relative dearth of substantial innovation at the moment. If so, perhaps there is a correlation between the focus in start-ups on patent protection rather than coming up with a prototype at the outset, and this produces the alleged lack of substantial innovation. If so, an emphais on patent protection uber alles might be either a coincident indicator,or even a cause of the decline, in innovation. I believe this is not a very well posed question. 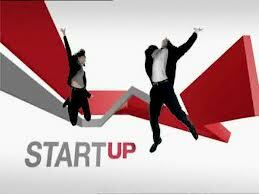 The reason is of course there are many types of startups and many business models. So a startup patent licensing entity will of course need to file patents whereas a startup open source software developer will not. The real question revolves around the role the entire intellectual property system, and not just patents, plays in supporting a startup's business model. The question I would ask is this: "Has a startup considered whether the uncertainty and risk relating to their business model merits the costs associated with patenting technology"
This is a complex question to which there is no easy or formulaic answer and it is a question to which the answer is time dependent. Therefore the issue is whehter or not a startup can afford to have an IP strategy or not and to what extent patenting plays a role within that strategy. In my view this is something any startup ignores at their peril since it ignores a key lever of strategy that can be used by a company of any size, including startups.